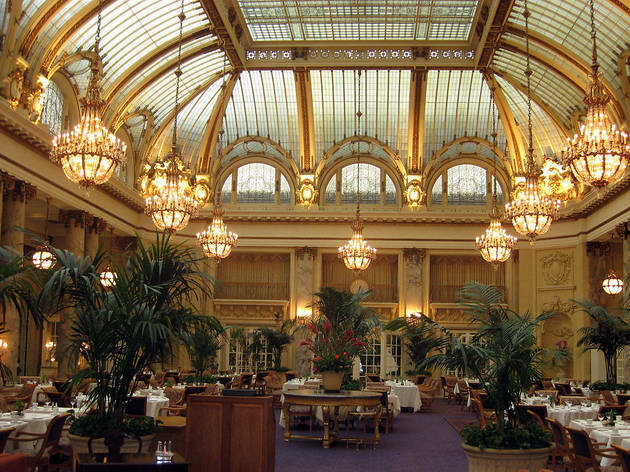 This landmark historic hotel in downtown San Francisco opened in 1909. The architecture and design of the common spaces are glamour-meets-luxury, but the recently renovated rooms all feel modern and chic. 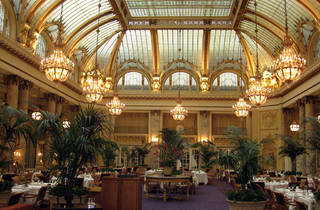 In the early 20th century, the Palace Hotel was the place for wealthy and powerful visitors to see and be seen. American Presidents frequented the Palace and one, Warren G. Harding, never left - he died of a heart attack in his upstairs room in 1923. Today, though it’s no longer on the cutting-edge, the Palace’s tasteful but simple guest rooms make a nice counterpoint to its lavish lobby and dining room. With 20 Austrian crystal chandeliers (each weighing 750 pounds), 16 Ionic columns of Italian marble and a domed glass ceiling, the 8000-square-foot Garden Court remains one of the most magnificent dining rooms in the state. Under a second domed glass ceiling, beneath silhouettes of the city skyline, is one of San Francisco’s only indoor pools. And that mural behind the bar at the Pied Piper? An original Maxfield Parrish. The Palace is centrally located on Market Street (the city's main thoroughfare) within walking distance of the world class San Francisco Museum of Modern Art, high-end shopping and people watching in Union Square and the tech companies of SoMa. Time Out tip: Order the Palace signature crab salad at the Garden Court during lunch. It comes with Green Goddess salad dressing, which was invented in the Palace Hotel’s kitchen in 1923. Have a nice travel and enjoy your stay!